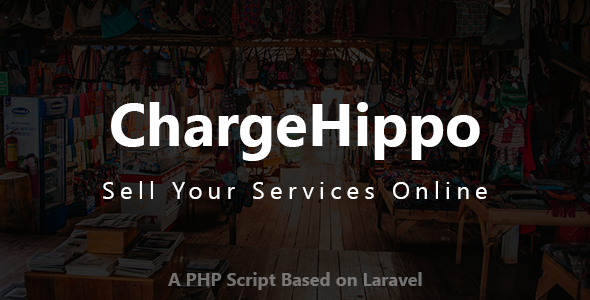 ChargeHippo is a powerful PHP script based on Laravel that helps you to sell services online. You are a developer, designer, doctor or whatever you are. With the help of ChargeHippo you can charge your customers online by providing your services online. There is a powerful messaging system. So, you and your customer can communicate with each other through the messages. There is also a feedback system upon order completion. So, you can improve your service with the help of customer’s feedback. Our script is user friendly, secured and well optimized. It comes with a super easy installer. So, you need to only upload the script on your server and with few clicks you are ready to sell. Powerful messaging system to communicate regarding to the order. Feedback system upon order completion. Shortest Checkout process to increase the leads.